E-mail us to get our discount promo rates ! Spend your dream vacation in the heart of one of the world’s finest beaches. 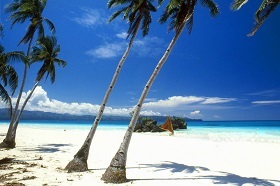 La Carmela de Boracay Hotel offers you beachfront convenience at affordable rates. It is centrally located at the beachfront, White Beach, Station 2, near the Tourist Center, Police Station and within a few minutes’ walk to the talipapa (wet market) and water activities providers. Hotel guests can also enjoy playing with their kids or friends in the hotel’s swimming pool, just right in front of the beach. Amenities: Fully air-conditioned rooms with mini-refrigerator, hot & cold shower and cable TV, 24-hour standby generator, 24-hour security personnel, in-room electronic safe and PABX telephone. and gets fully booked fast. E-mail us now to avail our PROMO RATES ! and how to book and avail our discount rate. 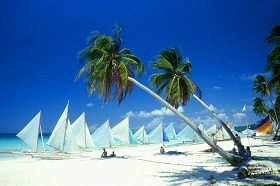 say about Boracay Best Deals and La Carmela.